wpw041269 WALES (1933). 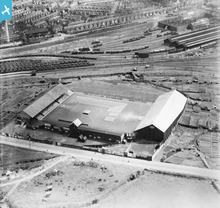 View of Ninian Park football ground showing boxing match, oblique aerial view. 5"x4" black and white glass plate negative. 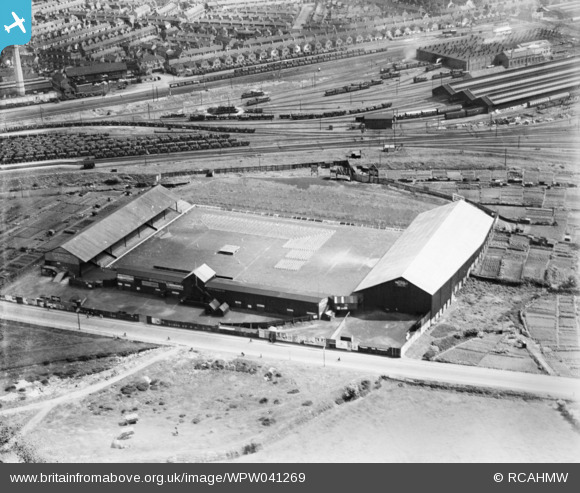 Title [WPW041269] View of Ninian Park football ground showing boxing match, oblique aerial view. 5"x4" black and white glass plate negative. 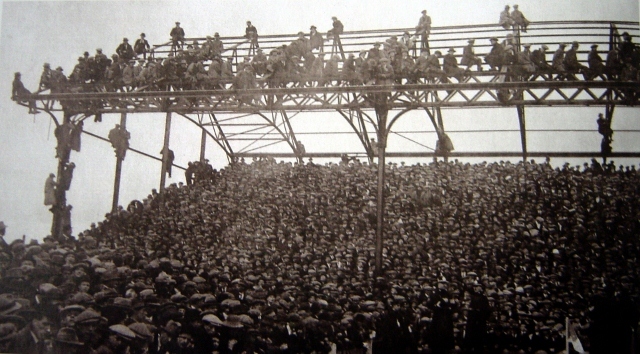 This grandstand was destroyed by fire in the early hours of Monday 18 January 1937, thought to have been caused by burglars hoping to make off with the takings from the game played the previous Saturday. locomotive appears to be on a flat truck? The Locomotive is on a turntable. As the name suggests a table which can be turned, through 360 degrees, enabling locomotives to change direction. The locomotive is on the under girder turntable installed in 1931. There appears to have been two fight nights at Ninian Park in 1933 with Jack Petersen topping the bill on each occasion. Germany's Heine Muller was the opponent faced on 15 May 1933 in front of a crowd of around 40000; the fight did not last long with Petersen winning by a knockout in the first round. The second fight, against George Cook, took place on 26 June 1933 when Petersen won on points.